Instrumentation for the monitoring and improvement of indoor air quality include portable IAQ Monitors designed to measure one or more of the following parameters: CO2, CO, VOC, NO2, O3, humidity, temperature, air velocity, air flow, and differential pressure (manometers) among others. VOC and air quality monitors are necessary tools to laboratory and testing AQ specialists. The AQ Comfort is an innovative and economical tool for indoor air quality monitoring (IAQ) in homes, schools, offices and much more. It is available in a variety of configurations, allowing the user to purchase only the parameters of interest in their application. 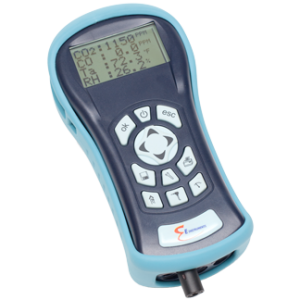 The AQ Pro handheld unit has temperature, humidity, differential and barometric pressure as standard, and then the customer can optionally select up to 3 gas sensors (CO2, CO, formaldehyde, NO2, SO2, H2S, O2 and NO are available). 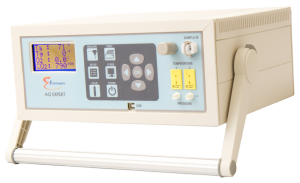 It provides the latest in indoor air quality monitoring (IAQ) in hospitals, schools, laboratories, airports, offices, and much more. The AQ VOC has VOC, temperature, humidity, differential and barometric pressure as standard, and then the customer can optionally select up to 2 additional gas sensors (CO2, O2, CO, VOC, Formaldehyde, NO2, SO2, H2S and NO are available). 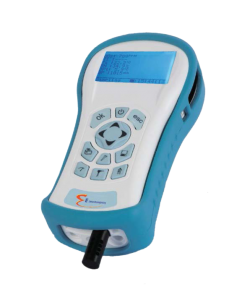 It provides accurate VOC (volatile organic carbon) monitoring for air quality analysis in industrial safety, environmental, and many IAQ Applications including hospitals, schools, laboratories, airports, offices, and much more. The AQ Expert advances technology into one handheld and compact unit. This unit is fully customisable – up to 11 parameters (including temperature, humidity, differential and barometric pressure), up to 7 gases (CO2,O2, CO, VOC, formaldehyde, NO2, SO2, H2S, O3 and NO are available). The AQ Incuba is the latest in incubator monitoring & real-time data logging for air quality analysis for incubators. 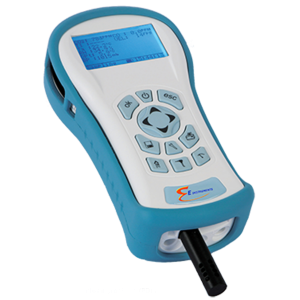 Features of this device include real-time data logging for graphs, data review & IAQ reports, CO2 measurement ranges and an active internal sampling pump, just to name a few.